(Andy Marken, Special to USTimes) He’s just returned from the Dubai International Film Festival (DIFF) and a shoot in Eastern Europe. 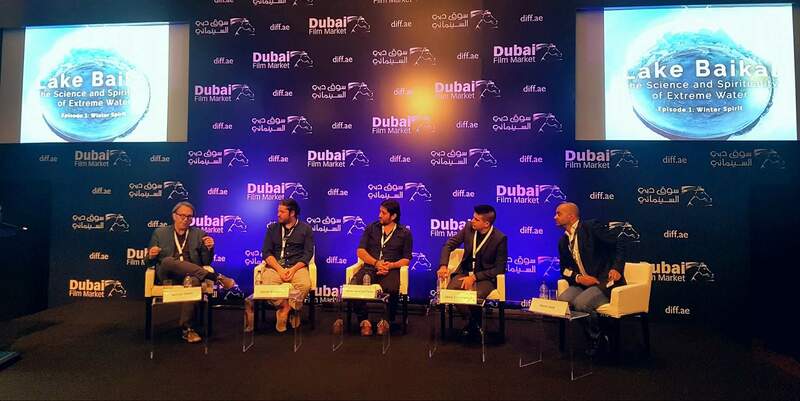 Lewis Smithingham, president of 30ninjas, had been invited to DIFF to discuss the potential for immersive storytelling in the region. Now, he is preparing to attend NAB (National Association of Broadcasters) in Vegas, where he will shoot/produce VR content in several booths and research new gear. He spoke with Andy Marken about his thoughts on this technology and what the future will bring. AM – First, can you give us a quick, clear overview of VR? Lewis Smithingham, president of 30ninjas, shoots a 360 degree selfie of himself and friends Randy Klieser (Dir Grease), Adam Brynner from Otoy, and composer Joseph Bisharamet. all of whom he met in Dubai at the DIFF Conference. Smithingham – VR isn’t new, it’s been around since the 1990s. It’s only in the last few years that it has been consumerized. VR is a realistic and immersive simulation of a three-dimensional environment. The viewer can literally look anywhere in the film and can go anywhere in the film. There are two key points in VR. First, the viewer has to be wearing an HMD (head-mounted display) to be right in the middle of the action, immersed in the film or content. Second, it is completely different for the video storyteller because you give up some control to the viewer and he or she can look and go anywhere in the story. 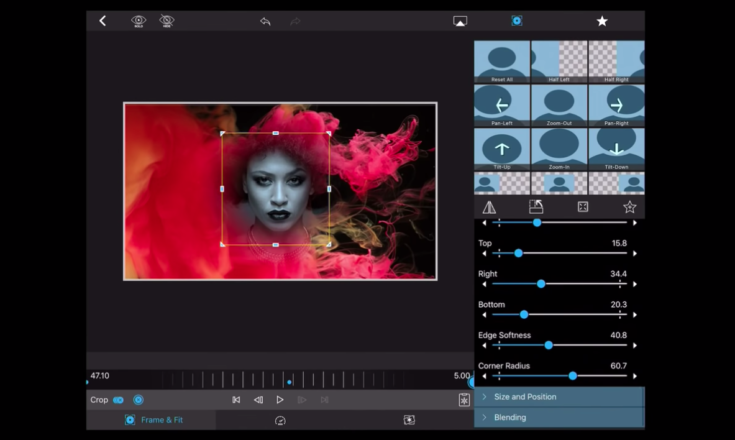 It sounds dangerous for creatives but actually, they can put cookie crumbs or sounds to “guide” the viewer’s observations and movement in the film. It’s not something that is taught in film schools yet so most VR filmmakers do an awful lot of shooting and experimentation to find out what works and what doesn’t. When it’s done right, the viewer experience is really thrilling and rewarding. 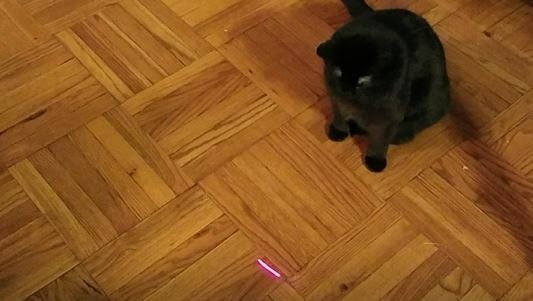 Viewer Guide – While VR viewers have complete control over where they go and where they look in a VR film, the filmmaker can provide hints on the flow of the visual story using sound and sight hints, much like Smithingham guides the attention of his cat using a laser beam. AM – Was there a particular highlight of the DIFF event for you? Smithingham – One of the highlights for me at DIFF was the Embodied Media Project from Japan. In talking with UAE filmmakers during the event, they were just as enthusiastic because they could see the potential for them and the consumer/viewer of tomorrow. Embodied Media’s goal is to create future media technologies that record, share, enhance and create of experiences that entertain, enchant, and empower us. 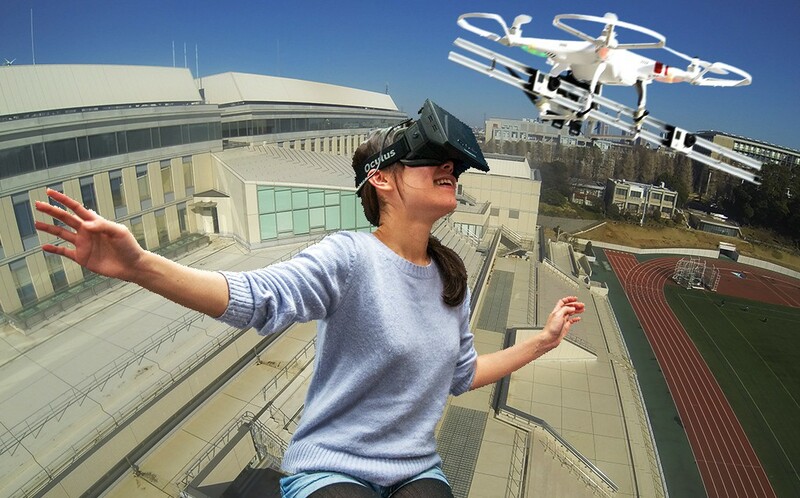 Free Flight –One of the many projects at Japan’s Keio University Graduate School of Media Design is the Embodied Media Project which uses a drone and VR camera to give the viewer the freedom of flight. AM – Is there much of a “VR Scene” in Dubai? Smithingham – Before I visited Dubai, I thought it might have been in the gestation stage (between conception and birth) but I was blown away. Dubai is one of the fastest-growing and most progressive cities in the world. During my brief visit, I saw some very progressive studios and marketers who are seriously looking at how they can use the technology to entertain people and promote products. When I was in Amsterdam for IBC, I had an opportunity to visit the Virtual Reality Cinema. I understand there are creative groups working right now to open facilities soon in Dubai. Knowing how progressive IMAX is and how quickly they are moving to open the next generation “theatres,” I’m certain the city is on their roadmap. You might ask, “Why cinemas?” It’s because of the richness of the content you participate in. Every time you put on an HMD and enter an immersive story, it is never the same viewing twice. You can go right, you can go left, you can look up, you can look down; and every time the “film” is different. The viewer controls the story and really enjoys trying new avenues. It’s amazing. I visited Giga Works while I was in Dubai. They are currently doing some excellent work in the areas of documentaries, travelogues as well as streaming 360/VR and are pushing the technology into marketing consumer and business products/services. Space Travel – Dubai’s Giga Works highlights its advanced VR video capture and production with a specially designed ship that gives the viewer the complete feel of traveling in space with virtual images and hepatic effects. Pixel Hunters is a Dubai-based animation company that unfortunately I didn’t have the time to visit but have been told are doing some great animated VR segments. Animation was tailor-made for VR because you can immerse a person into a virtual world that only exists in the mind of the creators. You can let them go into outer space or visit the center of the earth, interact with non-existent characters, run 100 kph, fly unassisted and vanquish monsters or your enemy. It’s not just a cartoon, the viewer is right in the middle of everything and it feels, sounds and looks remarkably realistic. There are other firms I heard of that are using VR to design and sell building projects in Dubai. Once the person puts on the HMD, he or she can look inside and outside of a building. For example, you can view the building from the top down, inside and out as you walk through rooms that your mind says are real so you know before the ground is broken that you’re going to really like the completed work. AM – Are there applications, opportunities for VR in the broadcast industry? Smithingham – Talking with DIFF attendees and the people at Giga Works, it is already in the experimental phase in Dubai. Our firm, several partners and broadcasters have been in the testing/trial phase through most of last year. Game Action – 30ninjas partners in Europe have shot and streamed several soccer events to a very enthusiastic audience this past year. These tests were all shot in 180 but Smithingham and Nokia have developed techniques that give viewers a true 360 experience of the action and activity. 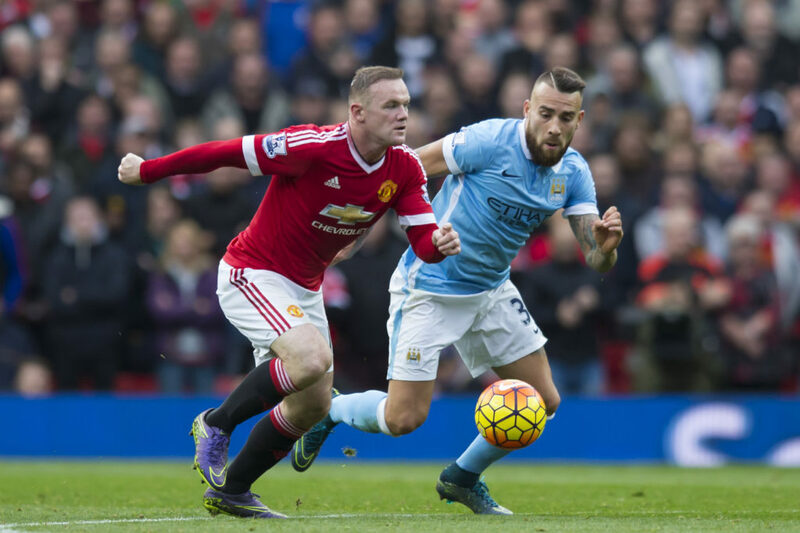 For example, one of our European partners produced several live stream soccer matches with our assistance. Then, we jointly critiqued the results to ensure we were delivering content to the viewer that gave them the feeling that they were at the match and in the middle of the action. Most of the streaming concerts and sporting events – including the Olympics in Brazil – have been and are being done in 180. It’s good because it’s an improvement from standard flat image capture/streaming. But from our tests, we know rich 360 coverage is possible. The National Basketball Association (NBA) and Golden State Warriors regularly stream 360 coverage of games so you can feel you are right in the middle of the action, not just sitting courtside but able to view a play or shot from every angle. We’ve been working with Nokia Ozo on projects for Ozo Live and Jaunt on several other upcoming projects. Both are excellent VR camera solutions for a number of different reasonsI feel full 360/VR capture and streaming is necessary to give the viewer the honest feeling of being at the event viewing the play and shot from every angle. 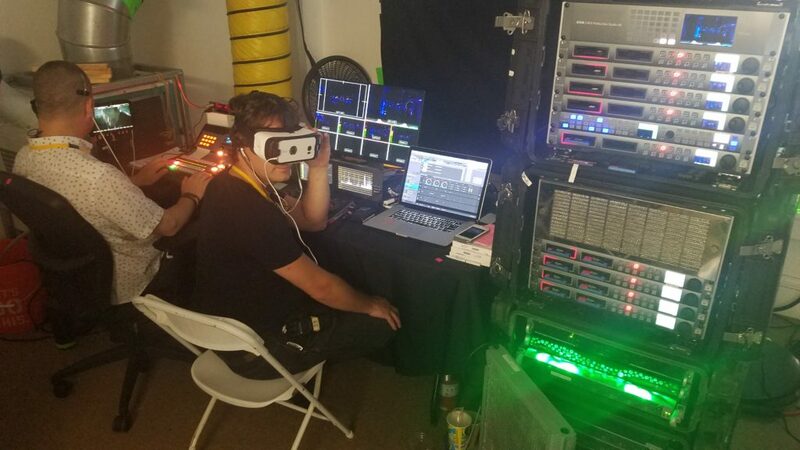 The same is true of streaming a concert or play because well- planned and executed VR capture, production and streaming gives the viewer a rich, satisfying experience that is hard to explain until you see it, feel it. Networks, studios and specific shows have also been doing 360-degree specials that have been enthusiastically reviewed by the specials’ producers and the audience. Last year, our firm produced the Conan O’Brien 360 special. Rush Production – For the Conan O’Brien 360 show, 30ninjas shot the show with multiple cameras and did production/post work on the set to quickly deliver final content for the network. Each scene was tested to ensure it gave the viewer the desired effect. The total stitching and post work was conducted in record time with high-performance computers and high-speed OWC SSD storage. We shot the entire show in 360 with multiple camera rigs. Post production was done behind the scenes with the latest Dell computers and racks of OWC SSD storage for fast workflow to finalize the entire special in record time for delayed broadcast streaming. It is a tremendous effort on the part of the production/post-production team but the show owners couldn’t believe the outstanding response they received from the audience. Right now, all of this is still in the experience development phase but I am completely confident that you’ll see more and more of it over the next two years; and soon, it will be standard viewing fare. There have already been sporting events and TV show specials produced in Dubai and the volume is only going to increase. By 2018, I’m confident that every network and studio will have regular 360 specials including dramas, documentaries, regularly scheduled shows, concerts, plays and sporting events that people throughout the UAE and around the globe will be putting on their HMDs to enjoy. Once you experience it, it’s just too compelling! AM – What are some of the other uses for VR you see emerging in Dubai and elsewhere around the globe? Smithingham – They say a picture is worth a thousand words but VR lets you experience a product, a service, a location. Properly executed, I believe the technology will be a major marketing tool in the coming years. 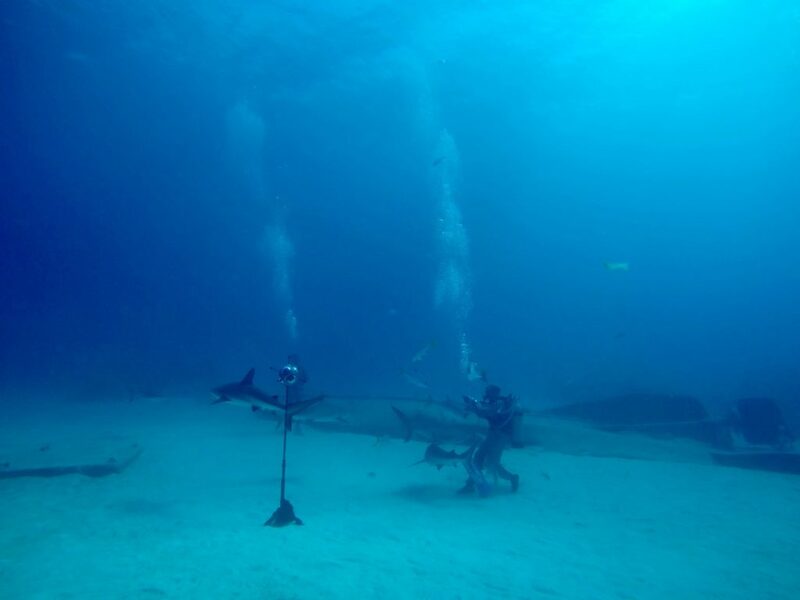 Adventure VR – Smithingham has produced numerous underwater VR projects to let the viewer be underwater, surrounded by marine life–including sharks. With VR, people can visit exotic lands and experience the thrills of mountain climbing, scuba diving or any adventure. You can experience a travel location in an hour, visit a dozen exotic places in a couple of hours and “almost” feel as though you’ve been there. You can do breathtaking, risky adventures like climb the Himalayas, skydive, and scuba dive in spectacular locations. You can do almost anything you can think of in the privacy of your HMD. You could take off your HMD and be as exhausted as though you did everything in the location in five action-packed days. Want to test drive multiple cars but don’t want to waste weeks, months doing it? You can go to a kiosk or stream the content to your home and put them through their paces so you know exactly which one you want before you buy. You can try new furnishings in your home, test out new tools and try new layouts for your house before you remodel and know you’ll be completely satisfied. Marketing will now have a “hands-on” way for people or companies to try before they buy. AM – Will VR be mainstream production and viewing this year? Smithingham – Let me first be a little cautionary because too many people have oversold, overhyped VR, saying it is the complete solution for tomorrow’s media and entertainment industry. The cameras are very good today. High performance, economic storage such as OWCs is readily available. The HMDs are good, getting better and the prices are now very reasonable for consumers. Next, we’ll have HMDs that are wireless. The prices will continue to drop and the gear will get better. As I mentioned earlier; I feel that by 2018, everything will be feature-rich and ready for everyone to experience without even thinking twice about it. 360-Ready – During his four years of VR shooting and production, Smithingham has tested and worked with every 360/VR camera as well as high-performance production systems and software. Smithingham feels the gear is sound today and advances will continue to be made. Over the past four years I’ve been doing VR, we have tested and used almost every piece of shooting and production gear that has been introduced. The professional cameras available today are very good. People are amazed at how much content we capture when we’re doing a 360 or VR project–you can easily use 25-50 Terabytes of storage a day. Storage is an important part of the VR equation that is often taken for granted. As we shoot in 4K and HDR (high definition resolution) it’s only going to increase. High-performance computers and high-throughput, expandable storage are mandatory! VR mini-Series – With noted film producer Don Limon, Smithingham recently finished production of the Invisible mini-series. The project required extensive shooting, post production work and testing to ensure the viewer had maximum freedom and enjoyment when viewing the film. Lewis Smithingham is President of VR and Partner at 30 Ninjas. 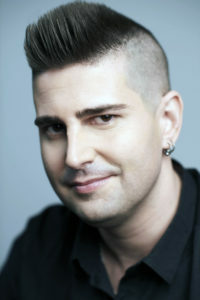 He is a creative technologist, director, DP, and editor. We are still learning a lot about what works and what doesn’t for the viewer. 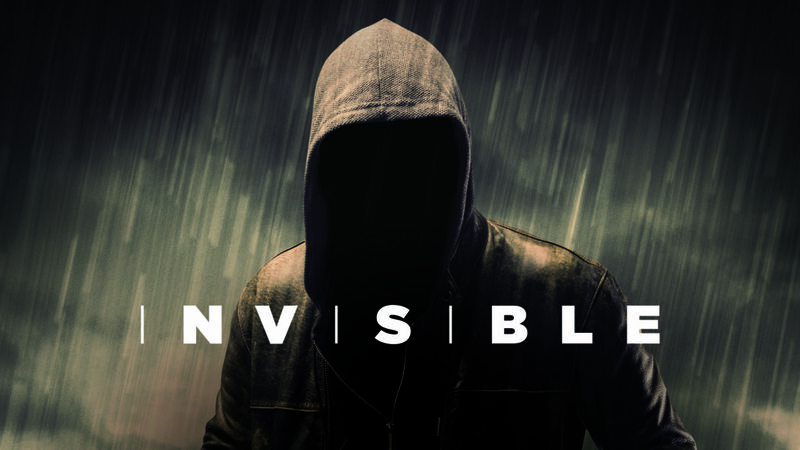 When we produced Invisible, we shot and reshot hours of content and reviewed it. Some worked and delivered the viewer experience everyone wanted, some didn’t. Production and editing are laborious for every filmmaker and the key to a great 360/VR film is that we constantly think about the audience. This is completely new and unique and requires a different approach for the director and the filmmaker. The most frustrating part of the 360/VR creative process is stitching (the process by which multiple camera angles are fused together into a spherical video panorama). While the software is steadily improving, it is still very time-consuming and expensive – often $10,000 plus per finished minute. But once you put on an HMD and immerse yourself in really good content…you’re sold. Why am I sure it will succeed? This is one of the few technologies in history that all of the major players – Intel, Qualcomm, Nvidia, AMD, Samsung, HTC, Adobe, Avid, Google, Facebook, Sony – have weighed in and invested in early. That has had a profound effect on how quickly solid and economic products have become available. By 2018, there will be a strong base of VR-experienced shooters and production people who will be delivering immersive content we’re only just thinking about now.